Looking for extra protection at your mouth and jaw? Then the Riddell Revolution Speed Football Facemask S2BD-SP is what you’re looking for! 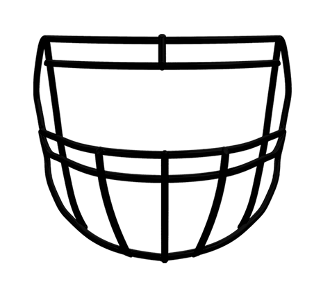 Designed with an open eye area and three vertical bars over your mouth, the S2BD-SP is recommended for Running Backs and Defensive Backs. This configuration of bars is engineered to keep errant hands and fingers from penetrating through and reaching your face without sacrificing your vision on the field.